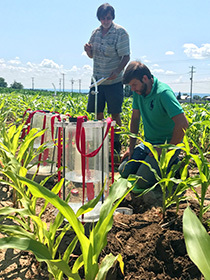 The Cornell Soil Health Laboratory is the home of the Comprehensive Assessment of Soil Health (CASH). 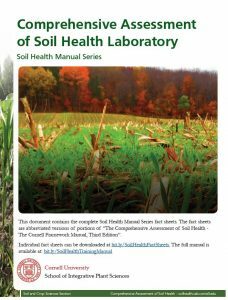 In 2016 we released our Comprehensive Assessment of Soil Health, The Cornell Framework Manual, third edition. 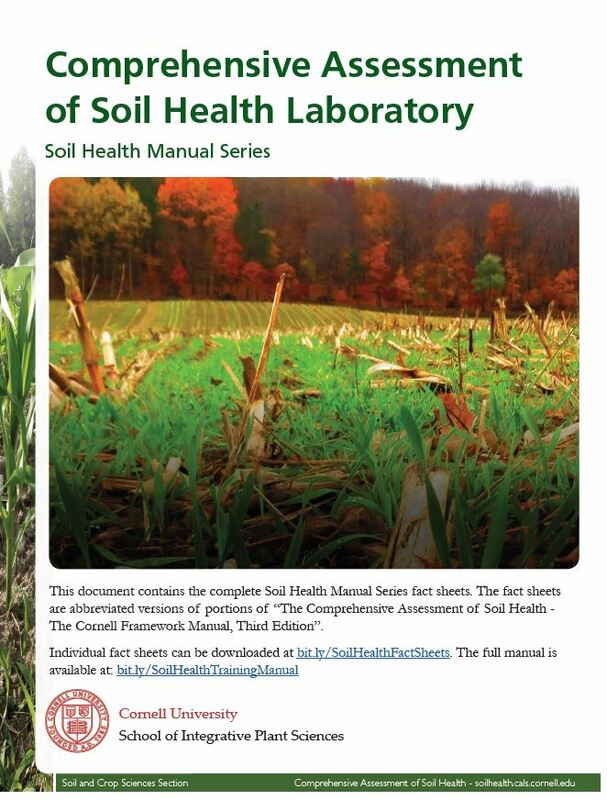 The training manual contains information on introductory soil health concepts, a detailed discussion of individual soil health indicators, laboratory procedures, a step-by-step guide to our soil health management framework, and an extensive list of additional resources. Out of this training manual we developed the CASH Soil Health Series to further facilitate the guide’s utility as an educational tool for growers, extension agents, and other Ag Service Providers. The fact sheets are one page, two-sided handouts, designed to explain different soil health concepts and show how we measure soil health. Purveyors of soil health can easily download and print the sheets to be handed out at field days and other outreach events. Below are links to the individual fact sheets that are currently available. New handouts will be posted as they are added to the series. If you have printing issues, we suggest using the ‘save’ option in your browser’s tool bar and then print the downloaded pdf from Adobe Acrobat.